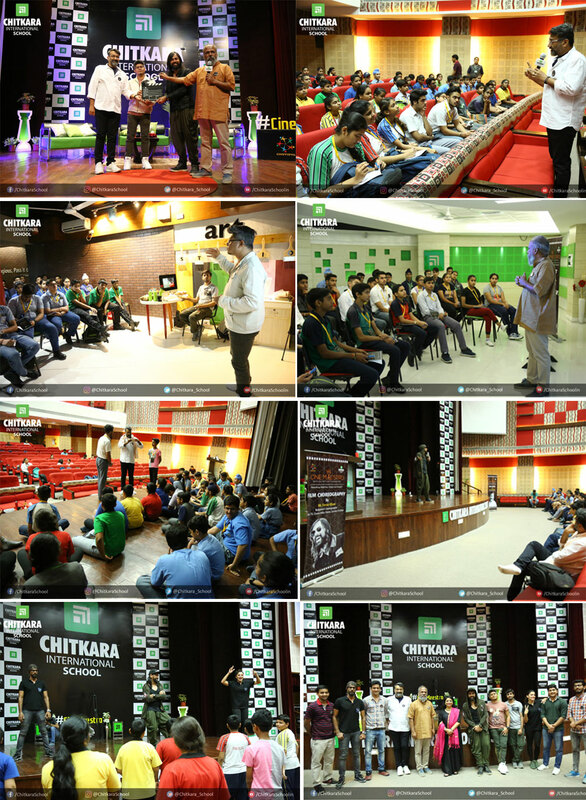 The three-day long workshop of CineMaestro – ‘shaping future filmmakers’, an inter-school filmmaking competition witnessed lots of enthusiasm for cinematography among the students of tricity at Chitkara International School. Cinevidya – a path-breaking Social Enterprise initiated by Mr Amitabha Singh, a Cinematographer and Producer of the Indian film industry, in collaboration with CIS geared for disseminating art of filmmaking to the 250 participants from 14 schools. Illustrious professionals of film industry accompanied by their skilled team taught the fundamentals of filmmaking. Amitabha Singh, known for his work in Khosla ka Ghosla, Chillar Party etc. trained the kids to become filmmakers and introduced Film Craft to them. Another module, named “Film Choreography” was touched upon by famous choreographer Feroz Khan, notable for choreographing the songs of leading films like Dear Zindagi, Phillauri, Badrinath ki dulhaniya, Veere Di wedding, Mitron etc and for judging Zee TV’s Dance India Dance. The students were also exposed to “Film acting” as a module by Supavitra Babul the eminent Screenwriter and Director. He explained the basics and nuances of Film acting and how to express themselves through this medium. Bijit Kundu, renowned Art Director gave insights on “Animation”, highlighting storyboarding as an integral part of storytelling, character development, story development, flip books etc. Every module of the workshop was demonstrated by practical engagement of the participants.